A federal judge has granted final approval to a $39.3 million settlement in a case stemming from Target’s 2013 data breach. Under the deal, the retail giant will pay up to $20.2 million directly to the financial institution class members, led by class representatives Umpqua Bank (Roseburg, Ore.), Mutual Bank (Whitman, Mass. ), Village Bank (St. Francis, Minn.), CSE Federal Credit Union (Lake Charles, La.) and First Federal Savings of Lorain (Ohio). The remaining $19.1 million will go toward funding MasterCard’s Account Data Compromise program for costs related to the breach. 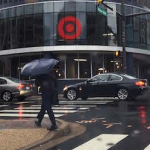 Target will dole out an additional $19.9 million for attorneys’ fees and expenses. The parties reached preliminary agreement on the settlement in December 2015 in U.S. District Court in Minnesota, and in February 2016, the attorneys for the bank plaintiffs filed to add legal costs to the settlement. The lawsuit includes bank issuers who opted out of earlier settlements Target reached with MasterCard and Visa. Target reached a $19 million settlement with Visa in August 2015. A proposed settlement with MasterCard fell through in May 2015, but all MasterCard-related claims were resolved as part of the recently approved settlement. Target also paid a $10 million settlement in a class action lawsuit brought by consumers affected by the breach, which compromised 40 million payment cards and exposed the personal information of up to 110 million people.